Let’s face it, 2016 has been an interesting year across the globe and one which many will willingly kiss goodbye to. Why not end on a high with Barcelona’s 10K Cursa dels Nassos on December 31st? On the last day of each year, Barcelona’s streets buzz with anticipation for the eagerly anticipated Cursa dels Nassos which sees the city become awash with shades of fluorescent Lycra as residents and visitors to the city gather together for this spectacular sporty affair. The race (not to be confused with Sant Cugat’s Sant Silvestre Barcelonesa race which operates on a smaller scale outside the city), is a hugely important fixture on the Catalan calendar and is the second largest of its kind in Spain. The unusually named event honors a legendary figure who is said to have as many noses as days of the year. According to folklore, the noses man (home dels nassos) sheds a nose every day, leaving him with only one nose on New Year’s Eve for when he finally leaves his house. The Cursa dels Nassos is a must for anyone interested in running and welcomes an impressive 14,000 runners (maximum) from over 50 countries every year. Although the Cursa dels Nassos is a pretty speedy affair (11 athletes completed it in under 30 minutes last year), anyone over the age of 16 can take part by simply registering online and turning up on the day. There is also a race category for people with visual impairments, learning disabilities, cerebral palsy and wheelchair users. 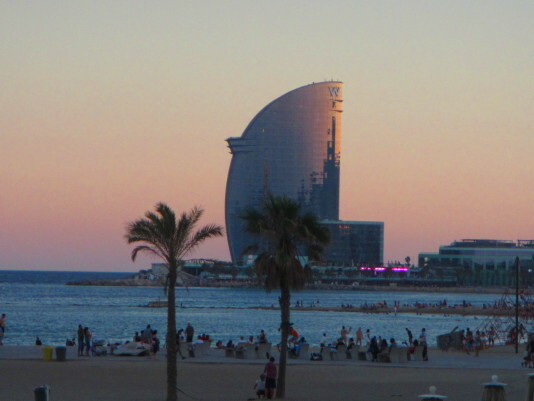 The route starts on Selva de Mar street in the Sant Marti district of Barcelona and takes runners through some of the most beautiful parts of the city. The Cursa dels Nassos is an undeniably brilliant way to spend the last day of the year and, with a 17:30 start time, it leaves you plenty of time to put your glad rags on for the evening’s celebrations. The tradition of running on New Year’s Eve began in 1925 when a journalist in São Paulo (Brazil), inspired by a night race he had seen in Paris, decided to hold his own event. The race was named La Corrida de São Silvestre de São Paulo. It started at 23:40 on December 31st and finished in the early hours of January 1st 1926. Over the years the race gained in profile until Spaniard Antonio Sabugueiro decided to replicate it in Madrid, creating what is now known as San Silvestre Valle. 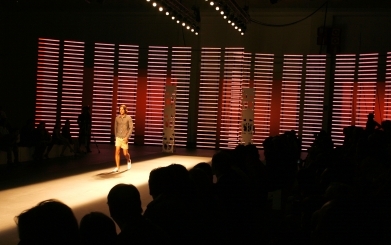 Nowadays, similar events are held across Spain in cities such as Beasain and Vitoria. So, if the Cursa dels Nassos whets your appetite for running and all things Lycra, you’ll be pleased to know that there are loads of organised races taking place in Barcelona during 2017. This is Barcelona’s second largest running event which saw 12,493 participants last year and is also open to wheelchair users. Water stations are placed approximately every 5 kilometers and there are bag storage facilities available. Note, there is a maximum completion time of 2 hours 45 minutes, so if your approach to running is slow and steady or you are new to the sport, this might not be the one for you! 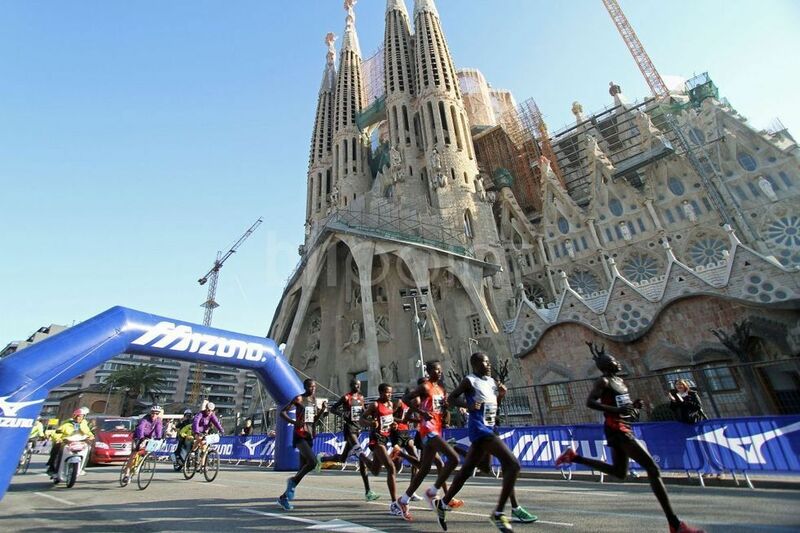 This marathon started in 1977 and is fast becoming an important fixture on the international running calendar for its flat and scenic route around the beautiful city of Barcelona. There are water points, massage services and showers available to runners and refreshment stations available around the course. 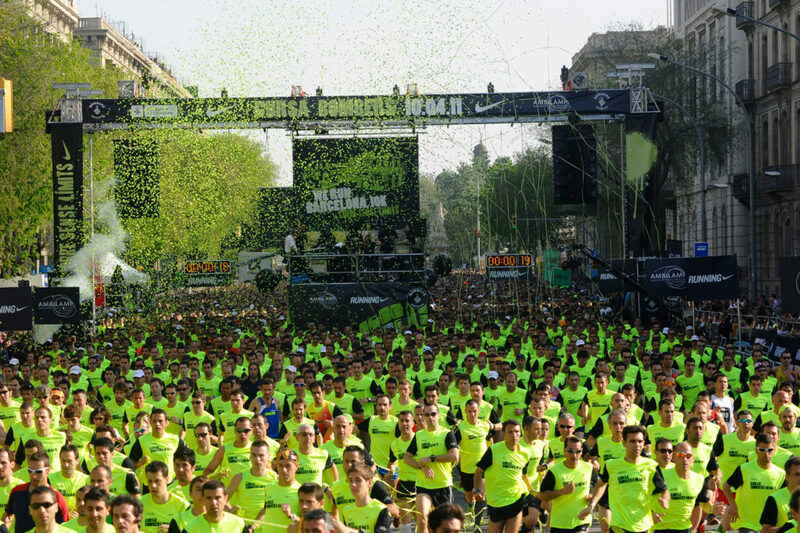 This 10 kilometer race is a hugely popular event organised by Nike Running and the city of Barcelona which accepts up to 20,000 runners – of which there are usually around 400 firefighters. Traditionally the race involved relay teams of four firemen where each member ran a 2.5 kilometer leg of the route in full firefighting gear weighing up to 20 kg to compete against other teams of firefighters. The Cursa de Bombers is an unmissable event for runners on the international athletics calendar and has been awarded the Bronze Label from the IAAF International Athletics Association. So, with the Cursa dels Nassos and so many running events on offer in the city, make this New Year’s Eve and 2017 your year to get running! What better way to welcome in the New Year than a bracing dip in the Mediterranean? Since 1996, hundreds of bold bathers have flocked to Platja de Sant Sebastià for the first dip of the year (Primer Bany de l’Any). Why not join these brave souls on January 1st 2017 at midday as they charge into the sea, clad in only their swimming costumes and the occasional Santa hat?! The event, organised by el Club Natació Atlètic-Barceloneta, is totally free and is a sure-fire way to rid your cobwebs from the night before! And, if the prospect of an icy dip is a little daunting, you can register at the club´s reception prior to the event for a hot shower afterwards. This is a brilliant affair and a far better alternative to a day spent hibernating under the duvet, cradling a packet of Alka-Seltzer to nurse your hangover. Whilst not for the faint-hearted (medically speaking), proponents of icy dips claim that the health benefits are numerous. Swimming in cold water can help your immune system, improve libido and boost circulation. Some even claim to experience a natural high so surely that´s reason enough to tempt you! 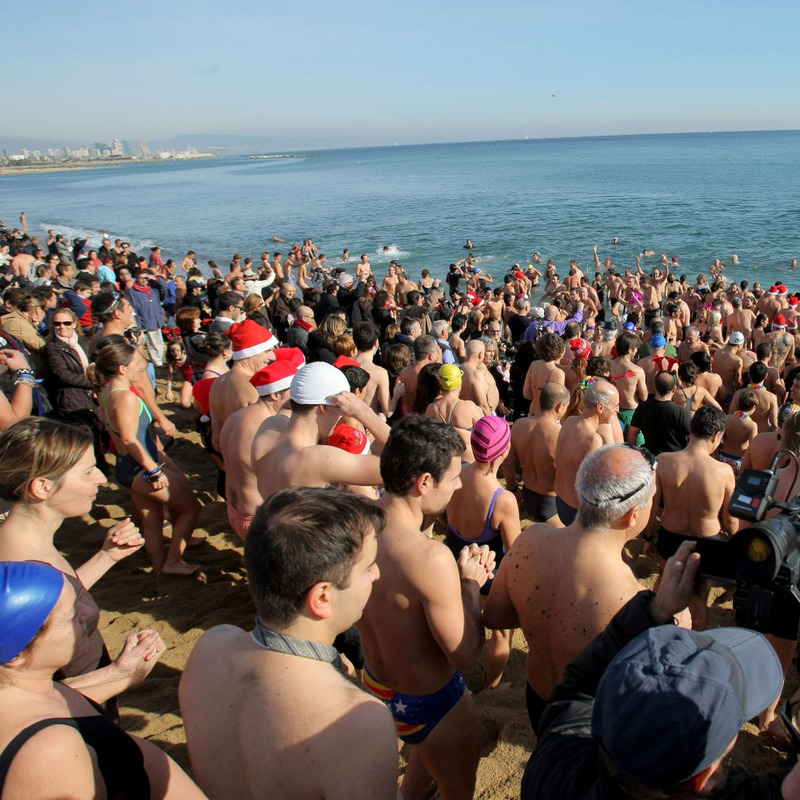 By taking part in Barcelona´s Primer Bany de l’Any, you’ll join the tradition of thousands of people who mark the start of the New Year with a dip in the sea, rivers or lakes and, with an average water temperature of 13 degrees in January, Barcelona provides a comparatively gentle winter bathing experience! 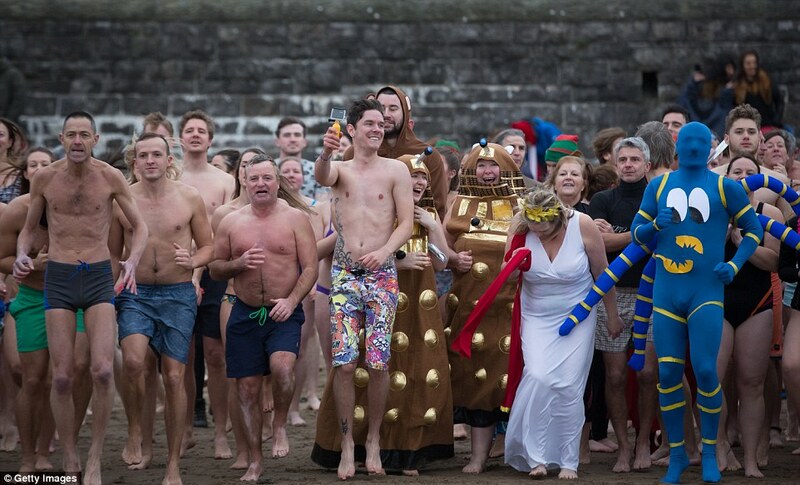 For over 30 years, bathers have braved the freezing waters off Barry Island (Wales) for a New Year´s Day swim and in Edinburgh (Scotland), locals take part in the Loony Dook – an icy plunge into the River Forth where the water is decidedly chilly! Similarly, in Rzeszów (Poland) bathers refuse to be deterred by the bitingly cold waters year on year. The Netherlands boasts over 60 locations for a New Year´s Day plunge, and insist there is no better way to start the year. 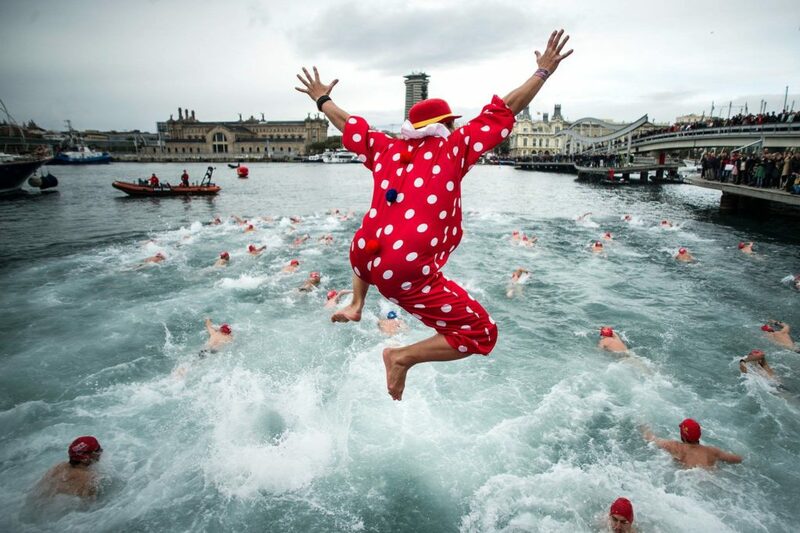 With a whopping 25,000 participants each January, the Dutch are arguably the champions of this watery tradition. 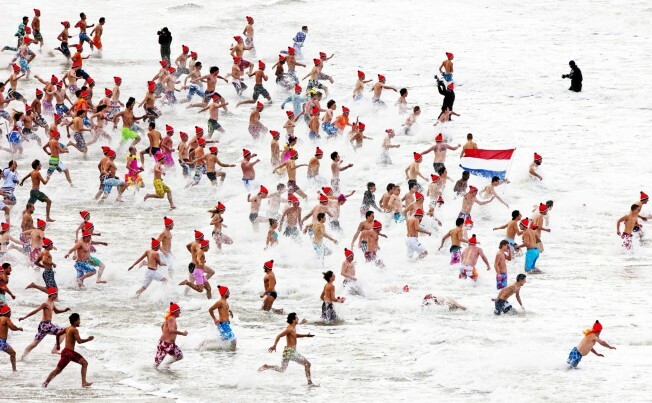 The largest scale event is the annual nieuwjaarsduik in Scheveningen which welcomes approximately 10,000 swimmers. 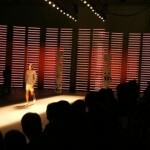 So, what are you waiting for?! Get 2017 off to a great start and make this January 1st a day to remember by heading to Barcelona for a New Year’s Day dip!